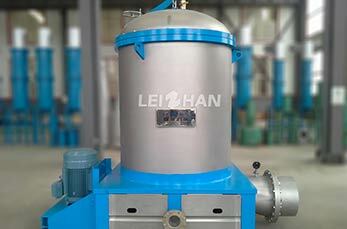 Leizhan screening solution comprise various stage screening steps and devices to produce high quality paper pulp. For each screening stage a pressure screen unit is designed to fulfill the requirements and demands for achieving best results in terms of pulp cleanness and lowest operating costs. Leizhan screening equipments are applied to specially design for removing impurities but keeping good fiber losses to a minimum. Screening equipments used in the process of stock preparation: Mid consistency pressure screen, inflow pressure screen, etc. Inflow pressure screen is widely used in the fine screening of wood pulp, straw pulp and waste paper pulp, especially suitable as the net filter before paper machine. 1. mainly used for fine screening of chemical pulp, waste paper pulp and the fine screening of all kinds of paper pulp as the net filter before paper machines. 2. Rotor spins outside of sieve drum, heavy impurities flow away from the sieve drum, not blocking sieve seam, and sieve drum life is greatly increased. 3. Streamlined rotor, pulp flows smoothly, low pulse. 4. Good effect of impurities and fiber separation, not easy to jam sieve seam. 5. Used as the net screen, low pulse, high screening efficiency, reliable operation. 6. Equipped with automatic lubricating device, which reduces maintenance. 7. Automatic detection alarm device of sealing water flow, which ensures the safe operation of equipment.